balcony perspective 2, originally uploaded by Vidaflores. 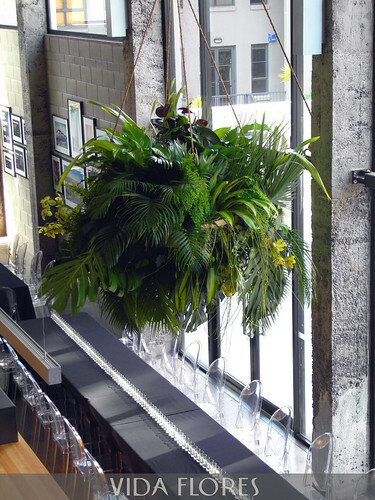 Looking down on the large hanging arrangement. The Phillipe Starke ghost chairs and line of LED Lights down the centre of the table, just finished off the clean look.